The legacy of Africa permeates all forms of contemporary Brazilian society. Religion, art, and culture continue to reflect the presence of the largest population of African people outside the continent of Africa. 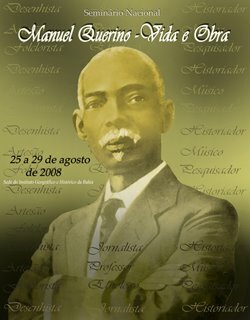 It is the intent of African Continuities in the Americas: Brazil 2010 to explore the linkages and examine the continuities that exist between Africa and the Americas. YourWorld is offering an exciting travel celebration through Brazil, visiting three different cities to explore the continuities between Brazil and Africa. Rio de Janeiro, Salvador and São Luis are located in the three Brazilian states that have the largest African populations. African Continuities in the Americas: Brazil 2010 will examine the profound contemporary African legacy in Brazil as part of a dynamic living culture. YourWorld's scholar-in-residence, Prof. C. Daniel Dawson, will add to this precious occasion his profound knowledge of the people in the African Diaspora and their connections. Through his competent, uncompromising and passionate approach Prof. Dawson' s lectures will expand and guide your unique experience of a vibrant learning process in an incomparably joyous environment. Prof.C. Daniel Dawson is a scholar, curator, photographer and arts administrator living in New York City. He has taught seminars on African Spirituality throughout the United States and in Latin America. He has also taught at the University of Iowa and Yale University. He has been Director of Education at the Museum for African Art (NYC), Program Specialist at the American Museum of Natural History and Director of Special Projects at the Caribbean Cultural Center (NYC). Prof. Dawson has been researching and traveling extensively to Brazil for the past twenty-five years and is considered a leading expert on capoeira. He currently teaches on African American culture at Columbia University (Institute for Research in African American Studies) and New York University (Gallatin School of Individualized Study). Bahia is the most African of all Brazilian states. In fact Africa abounds in the capital city of Salvador, also known as the "Black Rome" because of its celebrated church architecture and 80% African population. In this city of over two million, the culture is ruled by visible African ideas. The local cuisine, musical traditions, dance forms, Bloco Afro carnival groups, acrobatic martial art of capoeira, vibrant visual arts, and even Bahia's ginga, the graceful swing of its people, are all living testaments to this permeating African influence. In addition, Bahia is full of beautiful beaches, and quiet and historically important countryside towns. Bra zilians of African origin comprise nearly 60 percent of the total population of Brazil. It is estimated that nearly 4 million Africans were shipped to Brazil. By the eighteenth century, the majority of Rio's inhabitants were Africans. As a result, virtually nothing in Rio remained untouched by African customs, beliefs and behavior - a state of affairs that clearly influences today's city, with its mixture of Afro-Brazilian music, spiritualist religions and local cuisine. Brazilian colonizers, unlike colonizers in the United States, allowed Africans to continue to use their drums. Thus began the rhythm of the saints, the samba, and it explains why Brazilian "batucadas" reign unequaled today. The Samba is a genre of music and dance. It is the most popular and well-known musical genre to come out of the African-Brazilian experience. It is a very percussive, energetic form of music. The escolas de samba, the large community based samba groups, have occasional similarities to the dynamics of marching bands, but, the similarities end there. Samba is a full-fledged musical form intended for dancing, not marching. It's rhythmically unique and culturally vital to Rio de Janeiro and other parts of Brazil. Like many music and dance genres, the samba's roots are African. Groups of neighbors in poor Rio neighborhoods played the music together to sing and dance and soon adapted the style to become part of their yearly carnival celebration. Brazil got the samba, and the U.S. got "the blues." São Luís, Maranhão is a city with a rich folk tradition that blends African, Amerindian, Portuguese and French influences. 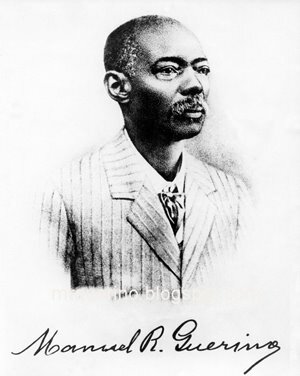 Daniel Dawson will highlight the African presence in a presentation on the historical significance of Quilombos, the self-liberated communities founded by Africans in Brazil. We will visit one of Maranhão's still functioning Quilombos. Each evening we will visit the Bumba-Meu-Boi Festival, one of Maranhão's most important folklore festivals celebrated annually in São Luís, but little known outside of Brazil. The festivities also include Tambor-de-Criola and Dança do Coco, music and dance forms unique to Maranhão. The rhythm and dances known as tambor de crioula, or "the black woman's drum", which date back to slavery times and feature women dancing to an engaging drum beat, are powerful, creative and spontaneous. Bumba-Meu-Boi takes diverse musical forms as a result of unique instrumentation, which often includes various types of drums and other percussive instruments. Bumba-Meu- Boi is a combination of song, dance and play in which Indian, African and Iberian-Brazilian elements are mingled. There are an estimated 60 Bumba-Meu-Boi groups in the city - musicians playing a variety of instruments, such as zabumbas (large drums) and matracas (pieces of wood or iron rings which are struck against one another). The Bumba- Meu-Boi was originally a parody by the oppressed members of the population directed against the society of slave-owners, and accordingly was from time to time suppressed by the authorities. Scheduled Round-Trip Air Transportation - USA/Brazil/USA * Accommodations at Luxury Hotels * Transfers between Airport and Hotel * Brazilian Buffet Breakfast Daily * Historical African Heritage Tours of Rio, Salvador and Sao Luis * Trip to Historical Town of Cachoeira, Lunch included * Visit to a Quilombo * All USA and Brazilian Airport Taxes Included * And much more! C. Daniel Dawson YourWorld Consultant Group, Inc.
Make checks payable to: YourWorld Consultant Group, Inc.